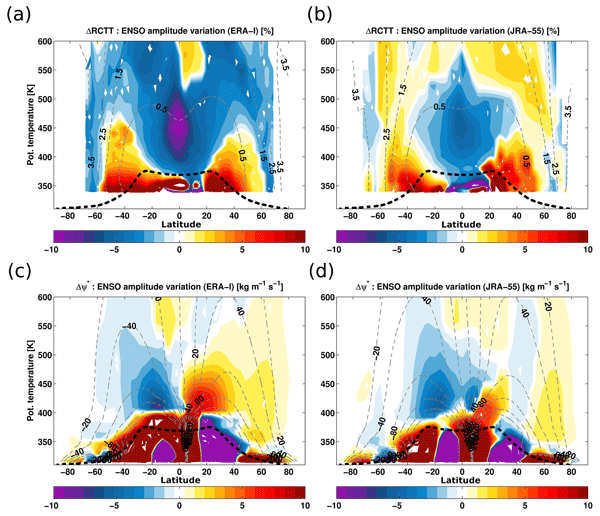 We investigate the transport pathways of water vapour from the upper troposphere in the Asian monsoon region to the stratosphere. 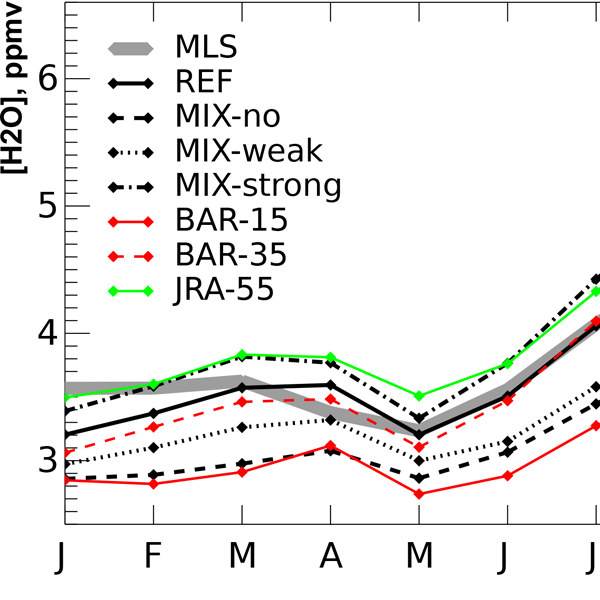 In the employed chemistry-transport model we use a tagging method, such that the impact of different source regions on the stratospheric water vapour budget can be quantified. 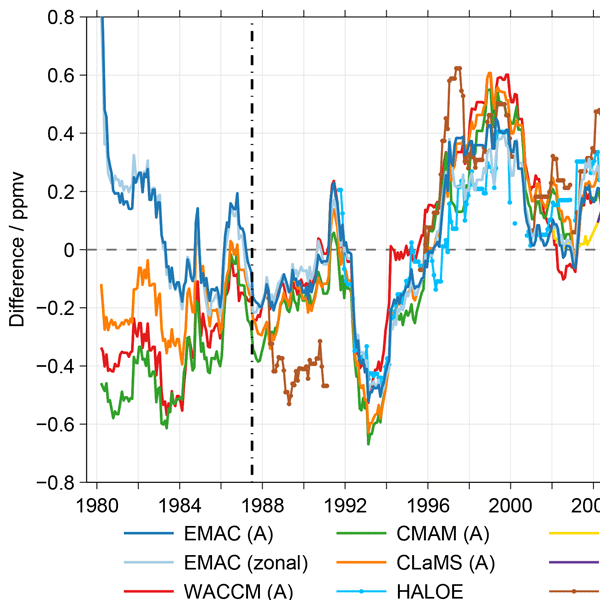 A key finding is that the Asian monsoon (compared to other source regions) is very efficient in transporting air masses and water vapour to the tropical and extratropical stratosphere. 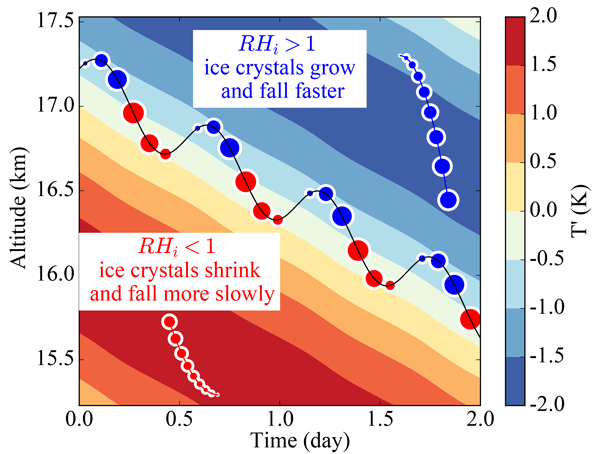 Using a simplified analytical setup, we show that the temperature and wind fluctuations due to an atmospheric gravity wave can induce a localization of ice crystals in a specific region of the wave. In that region, the air is nearly saturated and the vertical wind anomaly is positive. As a consequence, reversible gravity wave motions have an irreversible impact (mean upward motion) on the ice crystals. 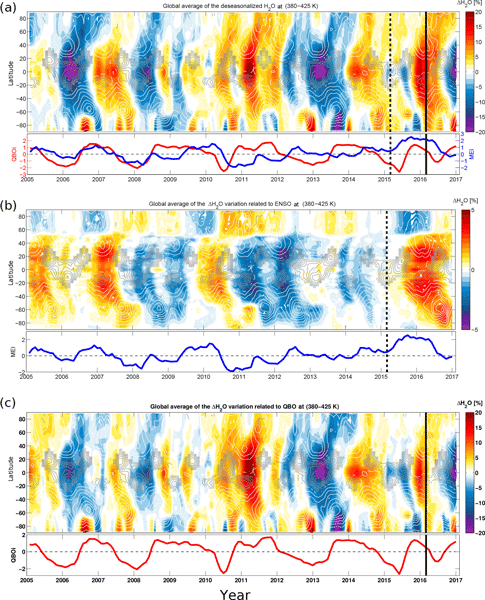 Our findings are consistent with observations of cirrus clouds near the tropical tropopause. The Weather Research and Forecast model is used to simulate a large-scale tropical tropopause layer (TTL) cirrus. Validated with satellite observations, the simulation shows that several clouds successively form due to a large-scale uplift initiated by the intrusion of air from the midlatitudes. The simulated cloud field is found as sensitive to the initial condition as it is to the choice of the microphysics parametrisation. The cloud impacts on the radiative and water budgets are estimated. 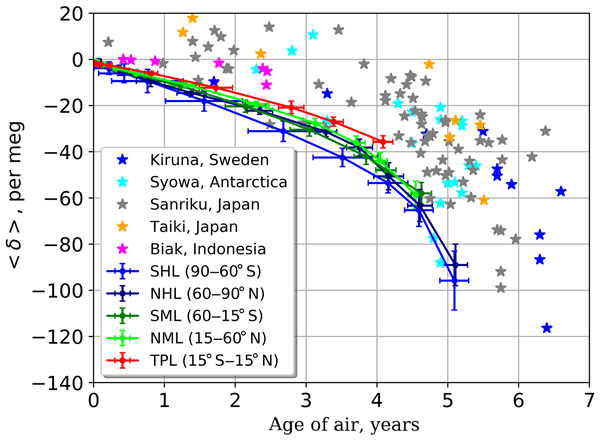 In the monsoon season, Asian NOx emissions are rapidly transported to the UTLS and can impact ozone in the UTLS. 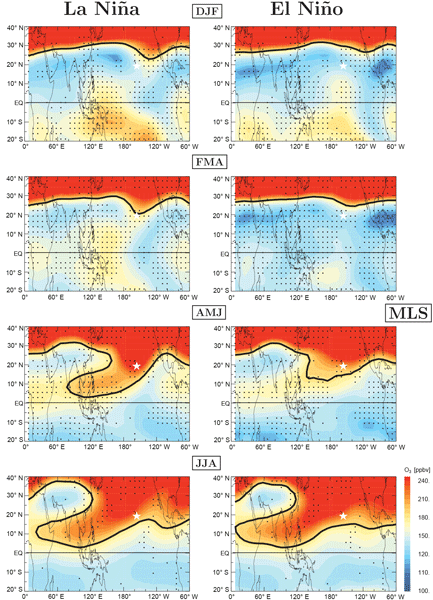 From chemistry–climate model simulations, we show that increasing Asian NOx emissions have enhanced ozone radiative forcing over Southeast Asia, which leads to significant warming over the Tibetan Plateau and increase precipitation over India. However, a further increase in NOx emissions elicited negative precipitation due to reversal of monsoon Hadley circulation. 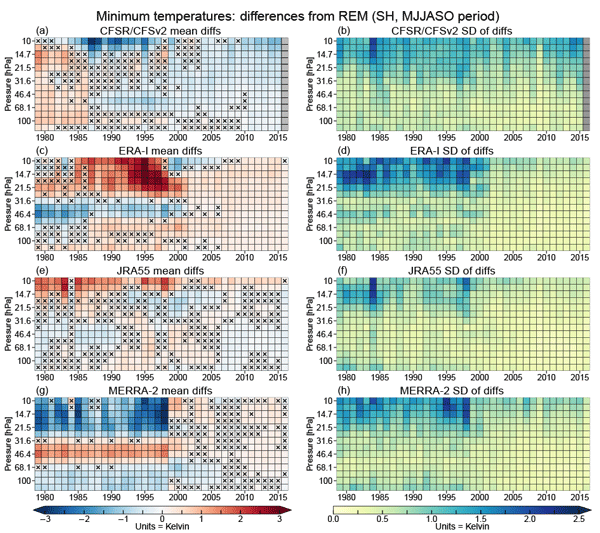 The model and MIPAS satellite data show that there are three regions which contribute substantial pollution to the south Asian UTLS: the Asian summer monsoon (ASM), the North American monsoon (NAM) and the West African monsoon (WAM). However, penetration due to ASM convection reaches deeper into the UTLS compared to NAM and WAM outflow. 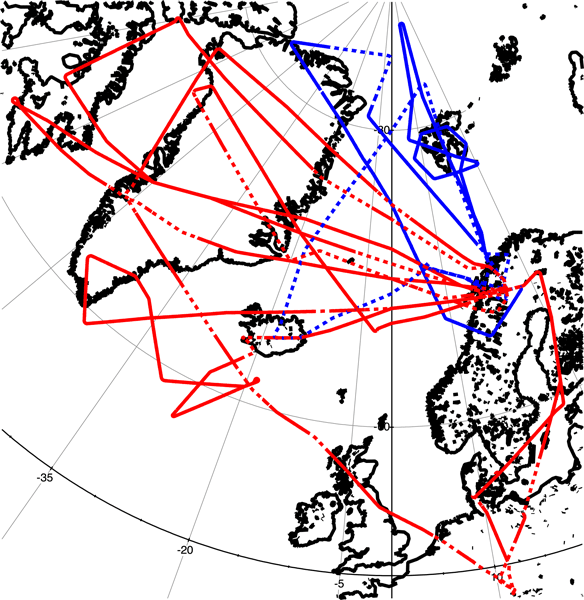 Simulations show that westerly winds drive North American and European pollutants eastward where they can become part of the ASM and lifted to LS.